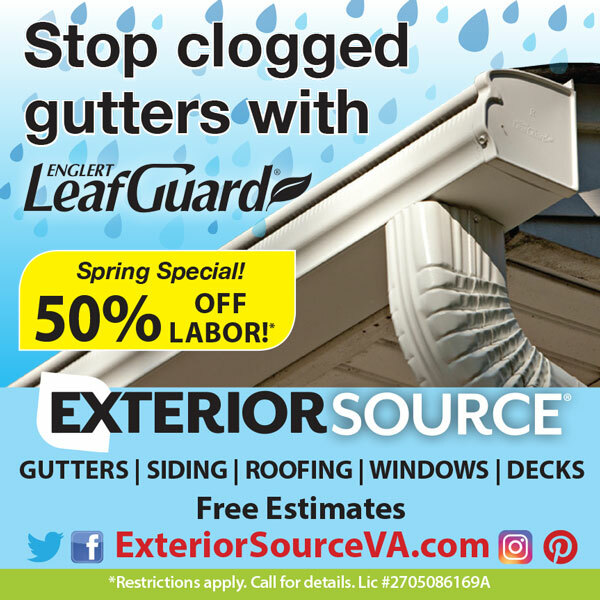 We are proud to be the exclusive home of LeafGuard®, the only one-piece gutter system on the market today. Its unique hood-covered trough deflects leaves, pine needles and other debris, preventing clogs from forming and allowing water to flow freely. This unique gutter system is custom-cut and fitted to your home. We offer top quality siding and trim options from CertainTeed and James Hardie, with products that provide maximum thermal and moisture protection, help save on energy costs, and are virtually maintenance-free. We are a CertainTeed 5-Star Contractor in vinyl siding. As a GAF Master Elite Roofer, we’ve earned the right to offer the Golden Pledge Warranty, which is GAF’s most comprehensive warranty. GAF shingles are rated #1 in quality and offer long life and added protection from the elements. While lighter in weight than most shingles, they have superior adhesion. Joyce vinyl replacement windows reduce heating and cooling cost with the tightest seal in the industry, plus they’re maintenance-free and won’t corrode like metal, or rot like wood. Exterior Source is a Class A home improvement contractor specializing in gutters, siding, roofing, windows, and doors. Since 1993, our business has provided exceptional products, expert installations, and outstanding customer service to more than 29,000 homeowners across Central Virginia and the Tidewater area. More than just a tagline; it’s a promise. When you hire Exterior Source, expect nothing but the best products and workmanship. In addition, we are a GAF Master Elite® Roofing Contractor and a CertainTeed 5-Star Contractor in Vinyl Siding. We offer the best industry warranties, topnotch installations, and solutions for every budget. Besides our residential work, we also offer expert construction services to builders and contractors. We are a BBB Accredited Business with an A+ Rating and an active member of several local and national trade associations. Call 804-275-5323 (Richmond) or 757-464-2060 (Tidewater) today to get a free, no-obligation quote. We’re here Monday through Saturday and by appointment for your convenience. You can also connect with us for inquiries and service requests using our online contact form. Our "Around the House" Blog will keep you up-to-date on everything you need to know about the exterior of your house and more. Let Us Inspire you with tips and articles on all things home-related. Find ideas inside to inspire you, entertain you, and help you create the home of your dreams.